EcoRecord is the Biological Record Centre for Birmingham and the Black Country, one of a network of Biological Record Centres that cover the whole of the UK. EcoRecord is a not-for-profit service run in partnership for the public benefit. 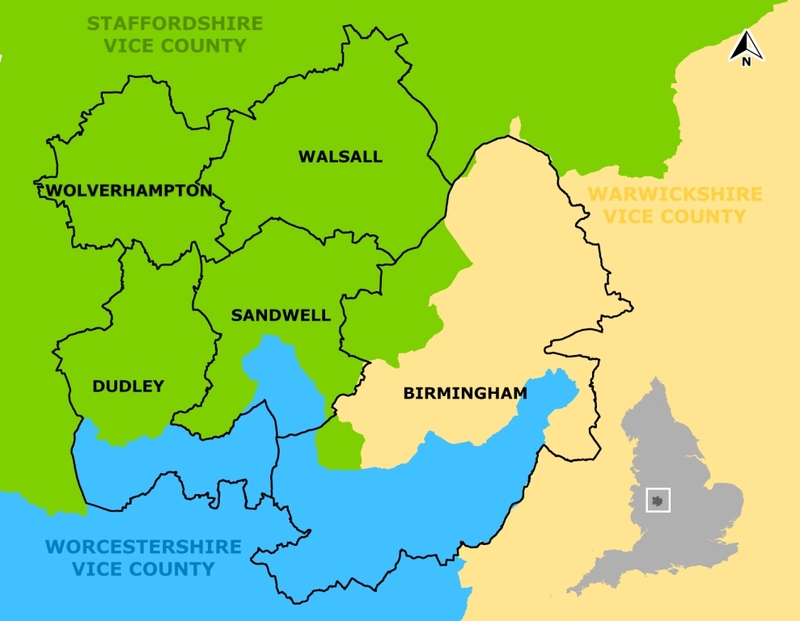 EcoRecord collects, manages, interprets and disseminates information of known quality relating to the wildlife, wildlife sites and habitats of the Birmingham and the Black Country area (Birmingham, Dudley, Sandwell, Walsall and Wolverhampton). Birmingham and the Black Country covers an area of approximately 625 square kilometres (241 square miles) and is a predominantly urban area with a rich industrial heritage located at the heart of the English Midlands. Birmingham and the Black Country is home to a rich variety of wildlife inhabiting a landscape ranging in character from ancient countryside to modern urban features. Good quality ecological information is the key to identifying and understanding, and therefore, helping to conserve this unique range of habitats and species that call the urban landscape their home. EcoRecord’s main aim is to provide impartial, authoritative and up to date information on the ecological resources of Birmingham and the Black Country. Collating, validating, storing and disseminating information on habitats, sites, species, groups of species, natural communities and sources of further information. Acting as a crucial source of ecological information, analysis and interpretation for land managers, planners, developers and conservationists. Developing and maintaining working relationships with statutory agencies, local authorities, voluntary groups and others as appropriate. Managing access to that information and analysing and interpreting it according to either a pre-determined programme or upon request. Supporting voluntary data collection by encouraging collection of current records of high accuracy and precision. Encouraging the submission of records from sources such as academics, consultants and other professionals engaged in ecological fieldwork. Supporting local training initiatives and acting as a point of contact for people interested in Biological Recording. Supporting and providing opportunities for local people to become involved in recording and monitoring of their local wildlife and thus improving their overall understanding and appreciation of the natural environment. Supporting programmes and initiatives that enable local people to volunteer for practical conservation tasks in their local areas. Ensuring the integration of local ecological information with various national and regional recording schemes.